Trekenner School Make a Splash! 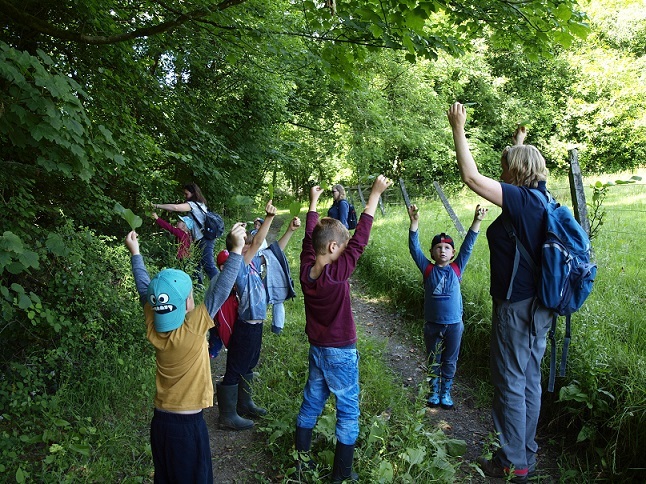 Last week we were joined by budding river scientists from Trekenner Primary School for a day of rivers, nature and sunshine at Sydenham Estate. 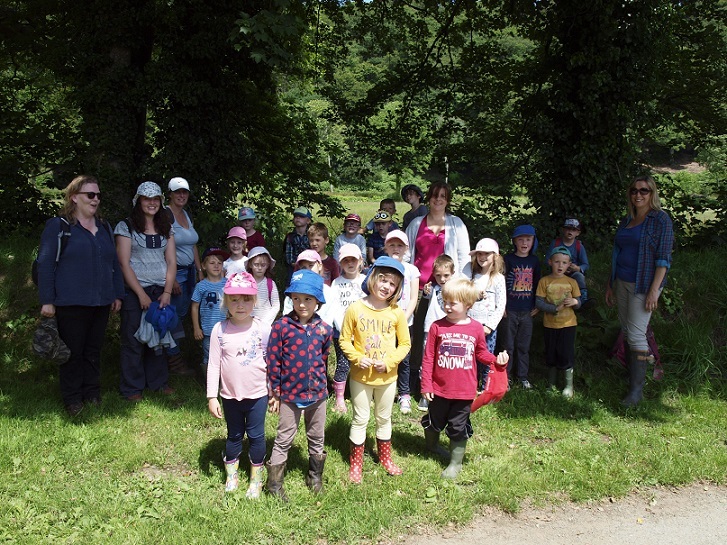 Reception and Year 1 pupils from the Squirrels Class pulled on their wellies and spent the day discovering the secrets of the River Lyd that flows through the Estate. With Shona – our ecology & education expert – the pupils from Trekenner School used their senses to classify the vegetation that grows around the banks of the river, noticing the differences and similarities between them and opening their eyes to the variety of species in the Sydenham Estate. 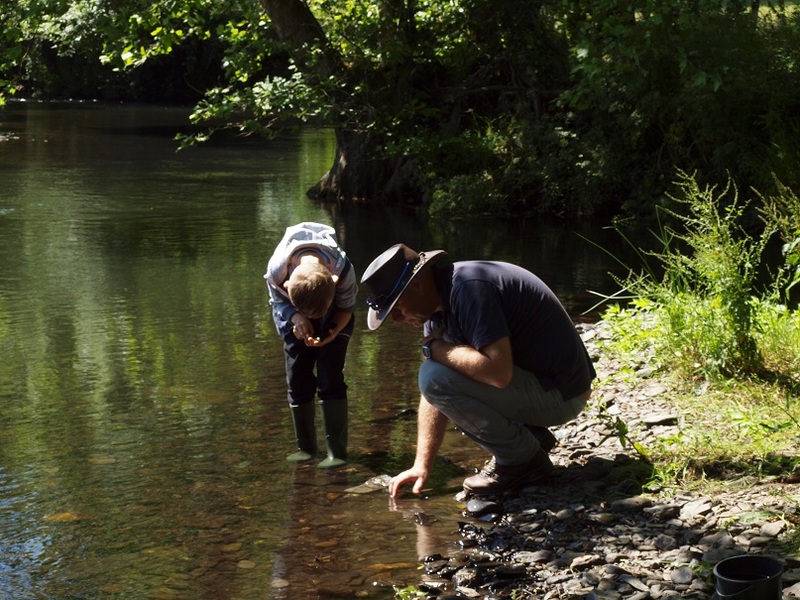 Our monitoring expert, Simon, talked the pupils through water quality, showing them how you can use a turbidity tube to measure the clarity of the river water. The pupils also learnt that, just because the water looks clear, there are other types of pollution that can’t be seen with our eyes alone. However, with monitoring equipment and testing kits (that turn the water blue), we can record levels of things we can’t see. Even with their stomping to stir up the river sediment, Squirrels Class were pleased to discover that the water flowing in the River Lyd is very clean. 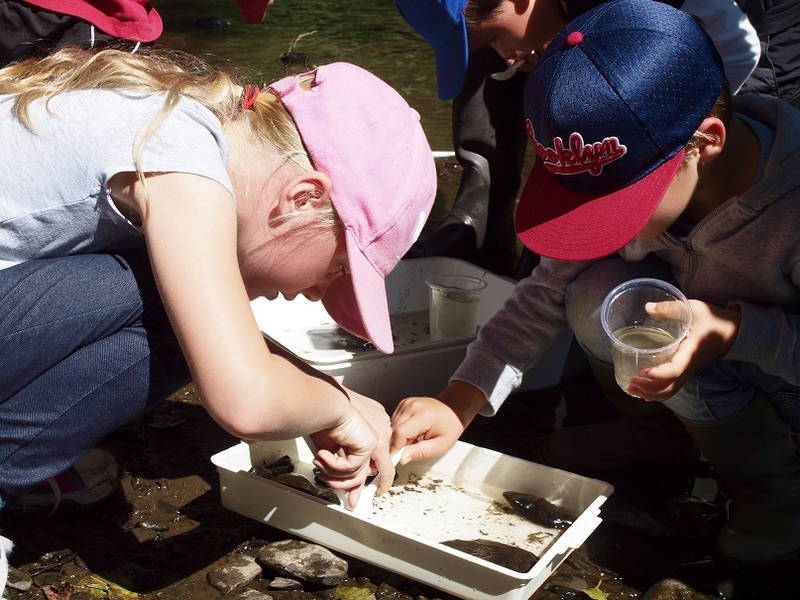 Squirrels Class also tried their hand at kick sampling and were amazed by the variety of invertebrates living within the River Lyd: caddisfly larvae, mayfly nymphs, tadpoles, midge larvae, freshwater shrimp…and many other species found their way into their nets. We even found two bullheads!